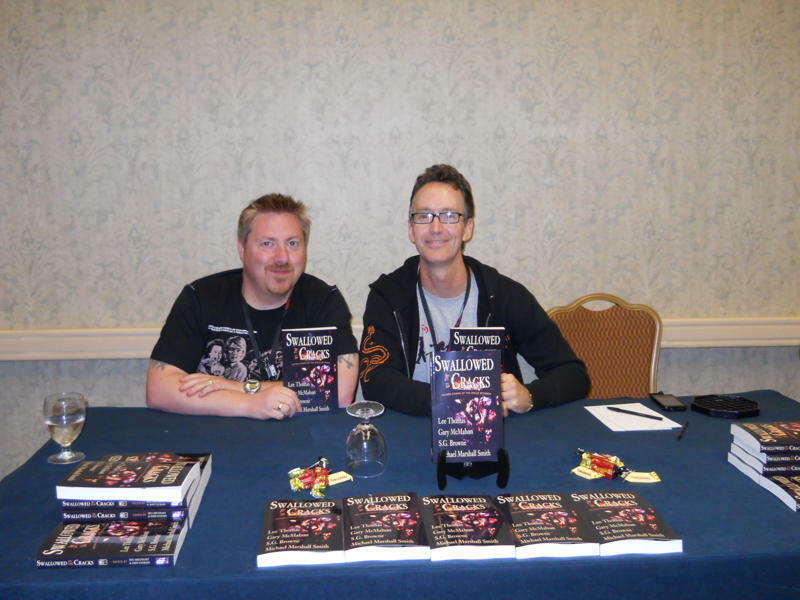 Dark Arts Books has launched most of our titles at the annual World Horror Convention, and at the end of last month in Austin, TX, we debuted our seventh collection at the 2011 edition of WHC. 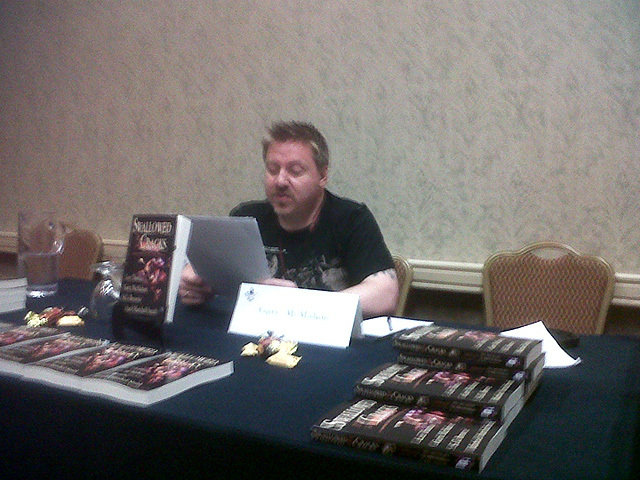 Swallowed by the Cracks, featuring four stories each from Lee Thomas, Gary McMahon, S. G. Browne and Michael Marshall Smith, came back from the printer just a couple days before the con — it’s our largest collection ( 308 pages) and includes some of the best stories we’ve ever published! 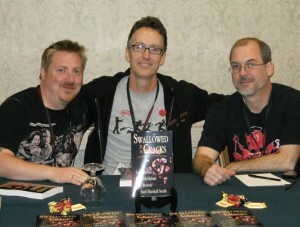 Gary McMahon, S. G. Browne, John Everson at the Swallowed by the Cracks debut reading. 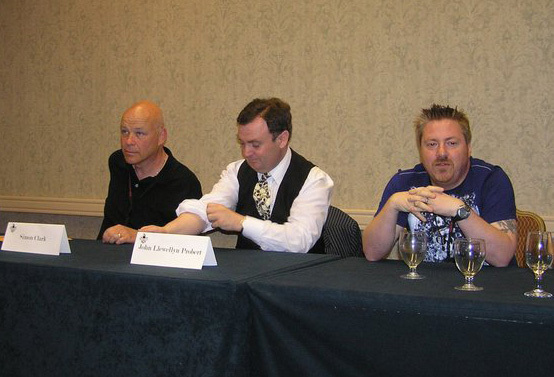 Lee Thomas, Gary McMahon and S. G. Browne were all in attendance at WHC 2011, and Swallowed by the Cracks co-editor John Everson was also on-hand to host a special debut reading by McMahon and Browne to launch the book. 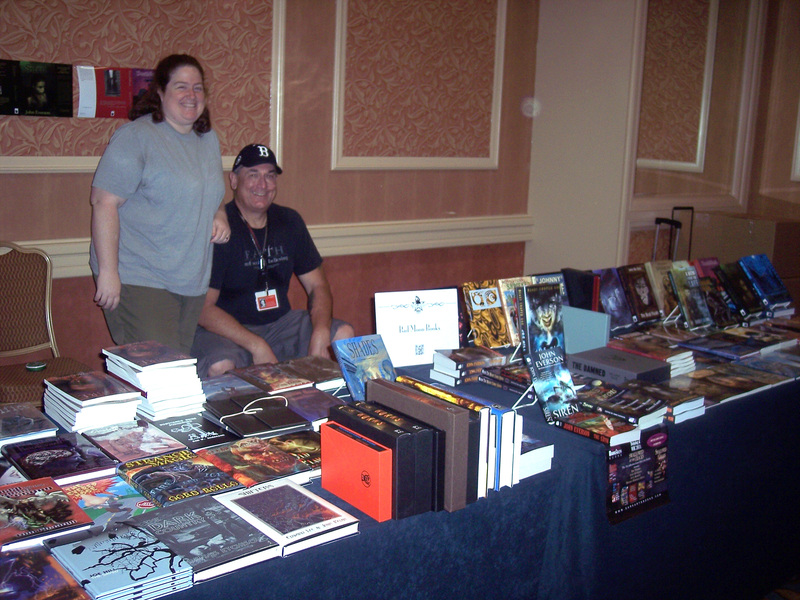 Thanks to Martel Sardina for shooting most of the reading photos, and also thanks to Roy Robbins at Bad Moon Books for hosting a special Dark Arts Books section of his dealer’s room table so that we could display and sell our catalog of titles. 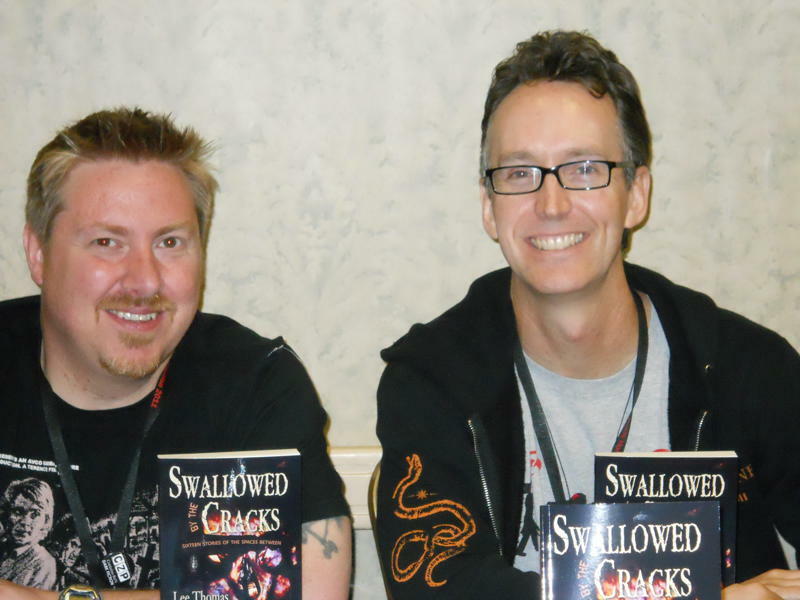 If you haven’t taken a look at Swallowed by the Cracks, click here. Do not look at anymore pictures from the convention (which get bigger if you click on them, by the way). Do not consider getting any Candy from a dumpster. Go get Swallowed. If you need more than these words to provoke you, how about words from the book? 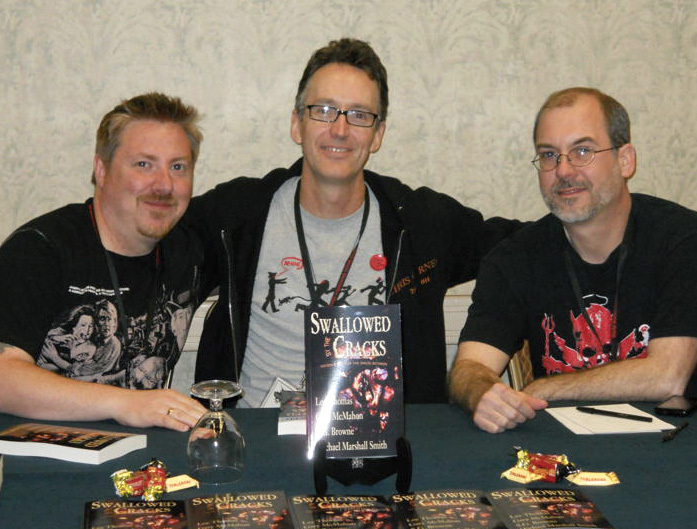 S. G. Browne has posted an excerpt of one of his stories from Swallowed at his blog. Check out “Dr. Lullabye” now. 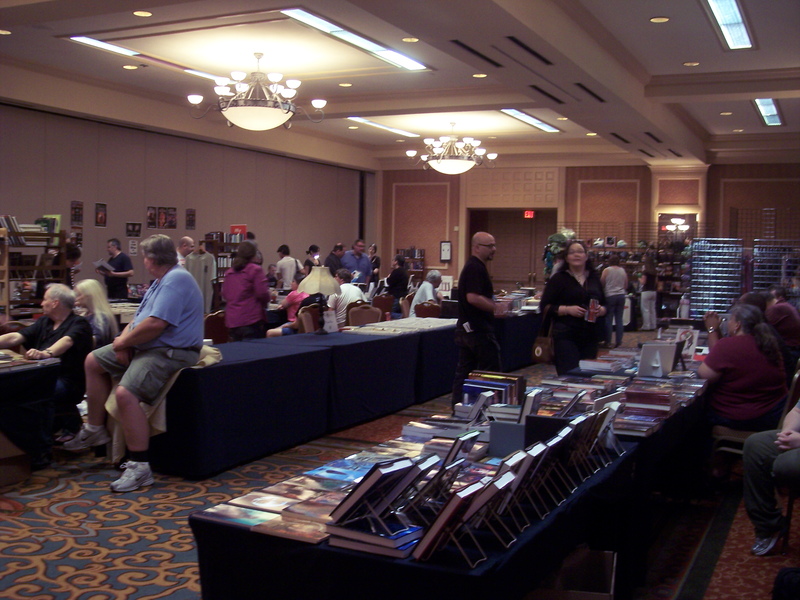 And then… buy the book.